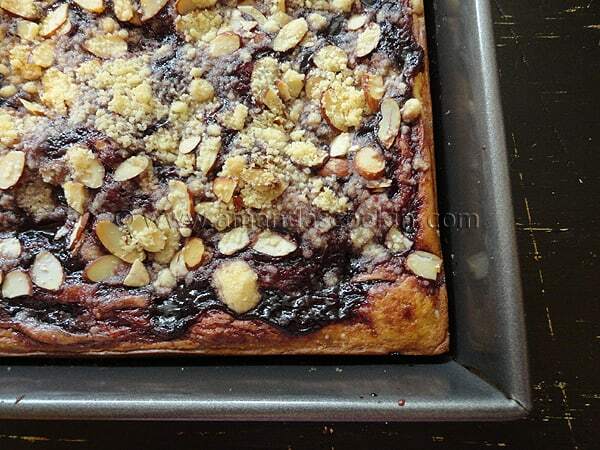 Today I have some breakfast amazingness for you. I used blackberry, but because the recipes uses preserves, you can pick your favorite flavor if you like. I love the little mini cakes, so easy to eat and take with you, but a slice of this cheese and fruit filled cake is a bit of Heaven too. 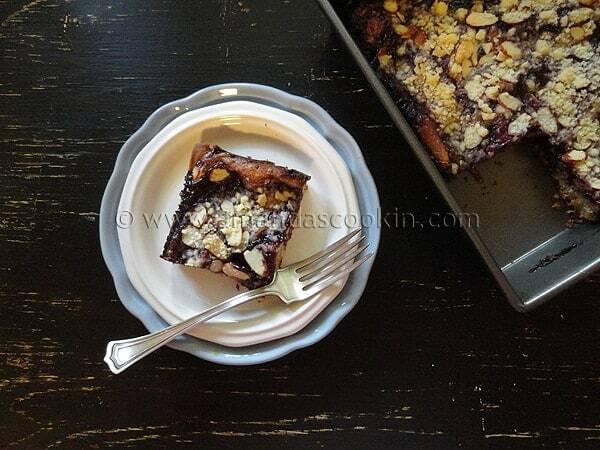 Perfect with a piping hot cup of coffee. I had spotted a recipe on Cooking.com called Strawberry Cheese Brunch Cake. That recipe was the inspiration for mine. I only changed a few of the ingredients, but the method for mine is a bit different. I love to use my food processor, so the instructions will reflect that. However, you can certainly use a stand mixer instead. I was asked by Pam Cooking Spray to give their new formula a try. I already use Pam, so I had no problem with that. It worked beautifully as you can see. 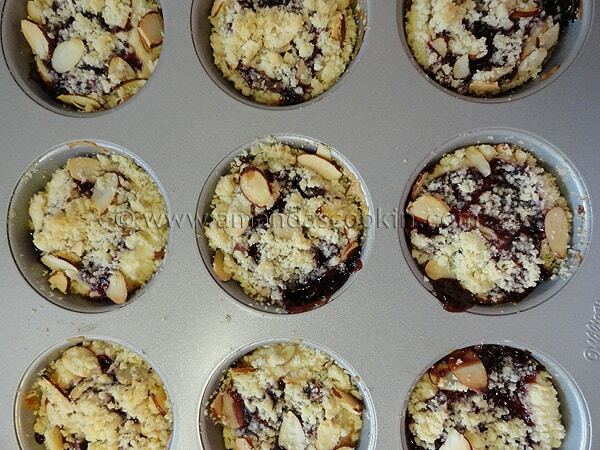 You can see that the muffins come right out, even where the jam cooked onto the edges of the pan. They look stuck but peeled off effortlessly. Clean up was a snap, no scrubbing or soaking needed. Now back to these amazingly delicious cakes. 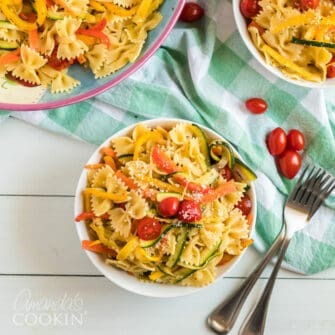 I’ll share the steps here with you, a printable version of this recipe follows. Process the cream cheese, sugar, flour and egg until smooth. You’ll wash the food processor’s work bowl the pulse together the flour and sugar. Then add the butter pieces. Process until coarse crumbs form. 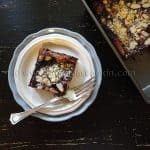 You’ll reserve 1 cup of the crumb mixture and mix with sliced almonds. Add the remaining dry ingredients, sour cream, yogurt, almond extract and egg. Batter will be fairly thick. 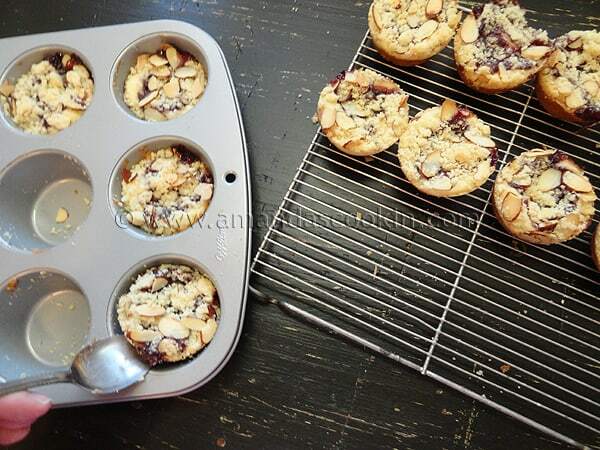 Spread one heaping tablespoon of batter into bottom of each muffin cup. Add a tablespoon of cream cheese mixture to each muffin cup. 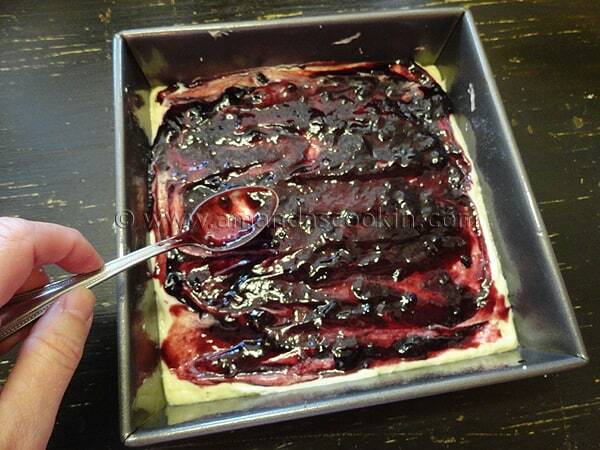 Add preserves on top of the cream cheese mixture. 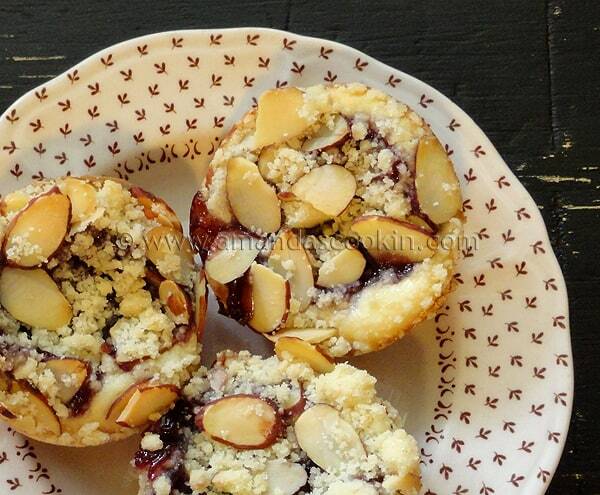 Sprinkle about a teaspoon of crumb and almond mixture on top of each muffin. After baking, tops should be light brown and preserves will be bubbly. 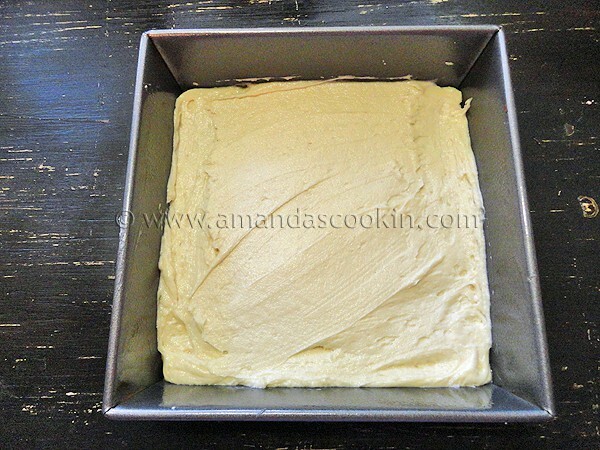 For the cake, turn remaining cake batter out into the prepared 9×9 baking pan. 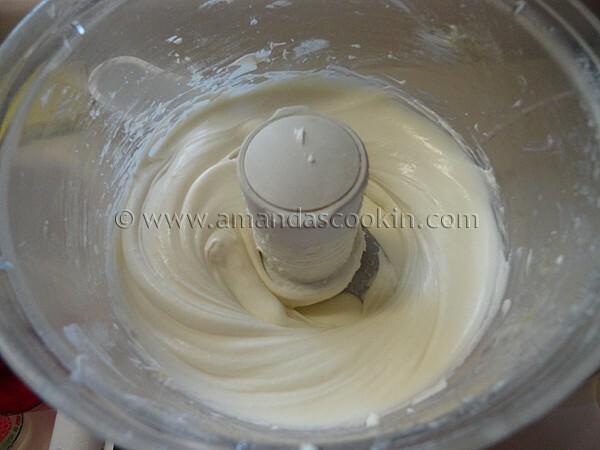 Spread remaining cream cheese mixture over cake batter. Spread preserves over the cream cheese mixture. 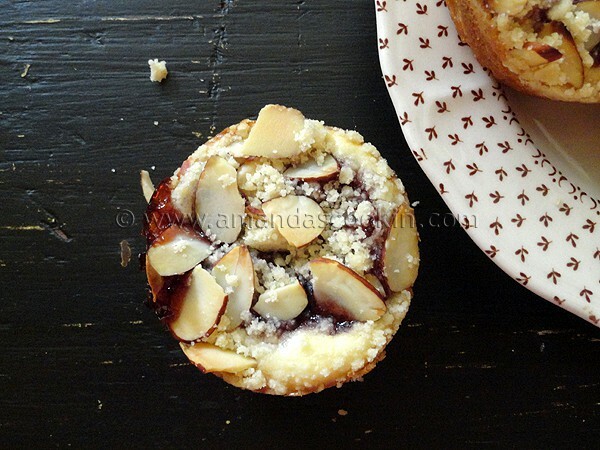 Sprinkle the remaining crumb/almond topping over the preserves. Bake cake. 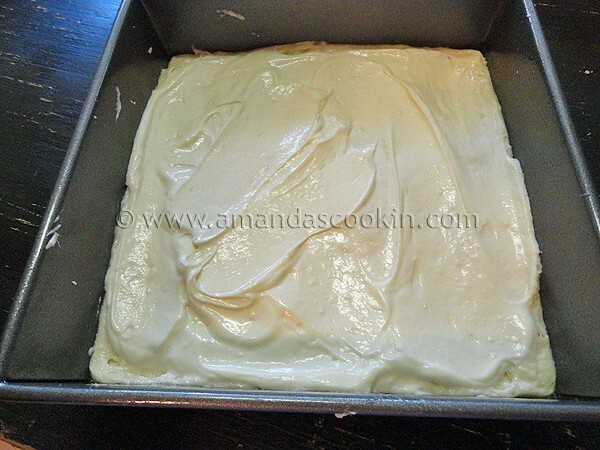 Cake will begin to pull away from the sides of the pan. Preheat oven to 350 degrees. 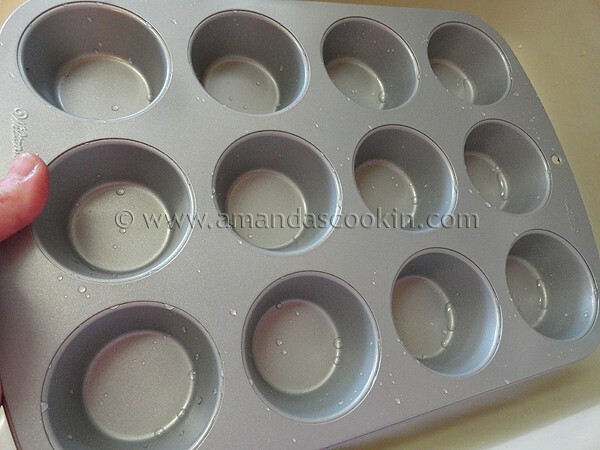 Spray a 12 cup muffin tin and a 9x9 square baking pan with Pam Cooking Spray. 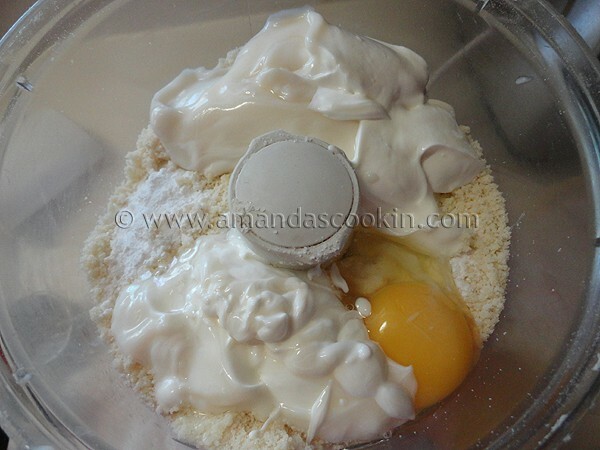 Place cream cheese, sugar, flour and egg into the bowl of a food processor. Process until smooth. Remove to a bowl and set aside. Wash and dry the food processor's work bowl. Add flour and sugar to the processor and pulse to combine. Remove butter from the refrigerator and cut into pieces. 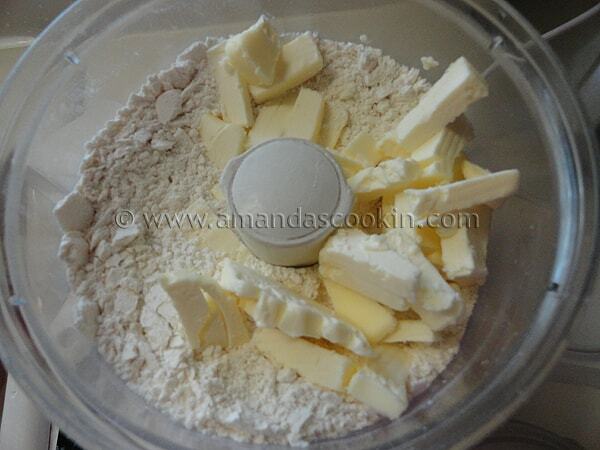 Add the cold butter to the food processor and process until coarse crumbs form. 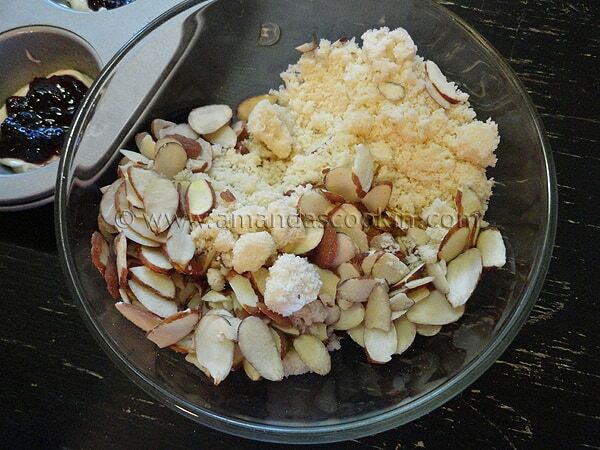 Reserve 1 cup of the crumb mixture and mix with sliced almonds; set aside. 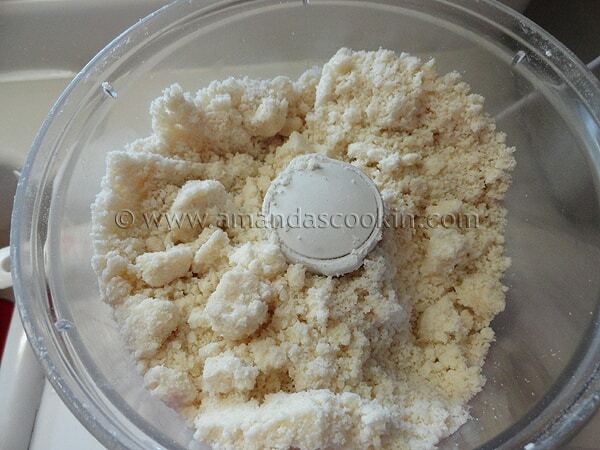 Stir baking powder, baking soda, and salt together and sprinkle over remaining crumb mixture in food processor. Add sour cream, vanilla yogurt, almond extract and egg. Process until homogenized. 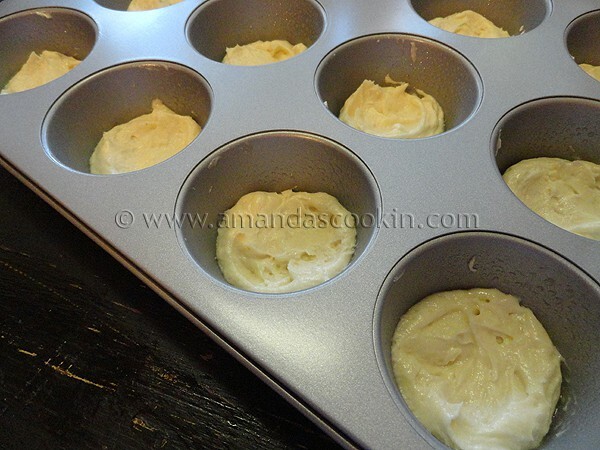 Spread one heaping tablespoon of batter into bottom of each muffin cup. 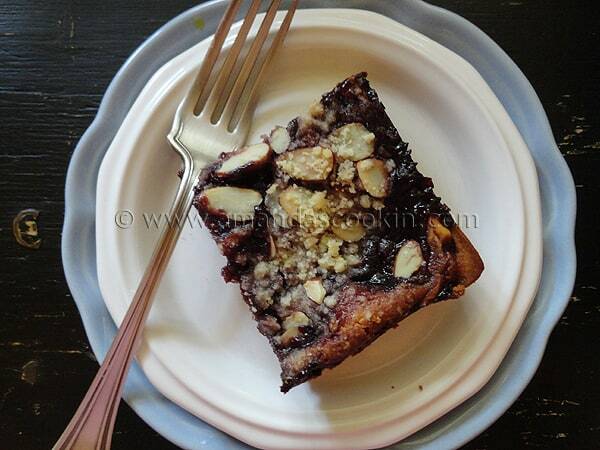 Reserve remaining batter for square cake. 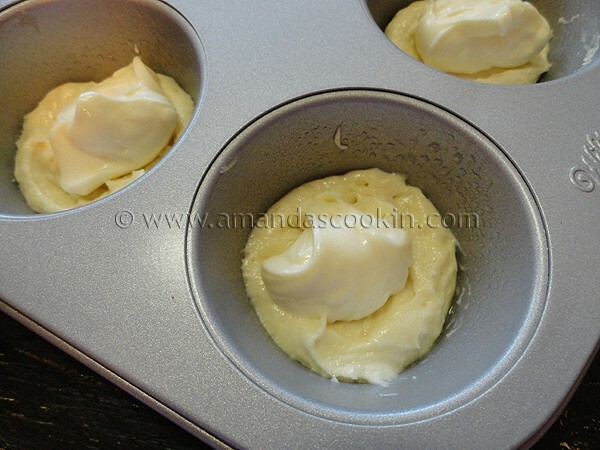 Add a tablespoon of cream cheese mixture to each muffin cup and spread over cake batter. 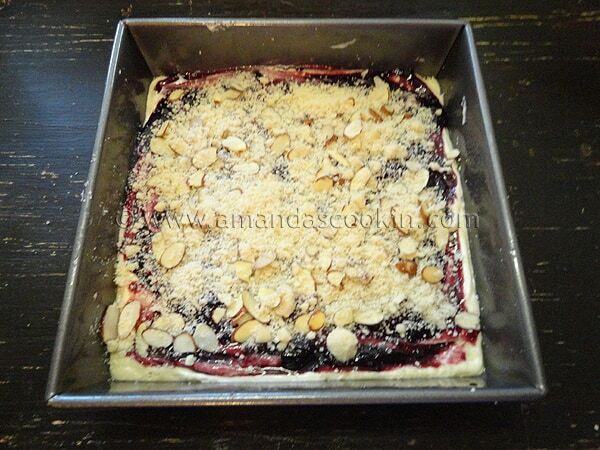 Reserve remaining cream cheese mixture for square cake. Add 1 heaping teaspoon of preserves on top of the cream cheese mixture. Spread evenly. Reserve remaining preserves for square cake. 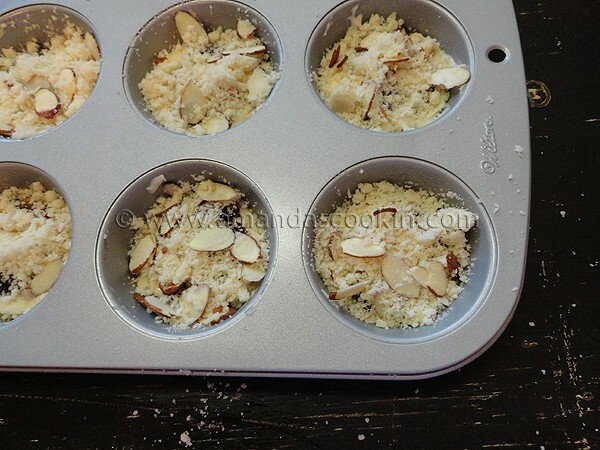 Sprinkle about a teaspoon of crumb and almond mixture on top of each muffin and reserve remaining mixture for square cake. 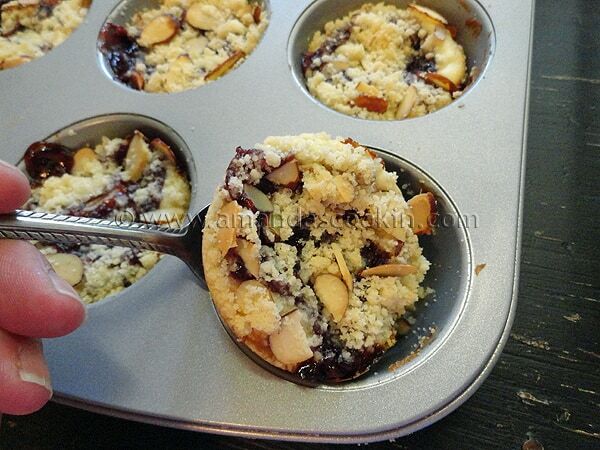 Place muffin pan in oven and bake for 20-25 minutes. Tops should be light brown and preserves will be bubbly. Cool on a wire rack for 10 minutes before removing with a spoon to wire rack. Cool completely. While muffins are baking, turn remaining cake batter out into the prepared 9x9 baking pan. 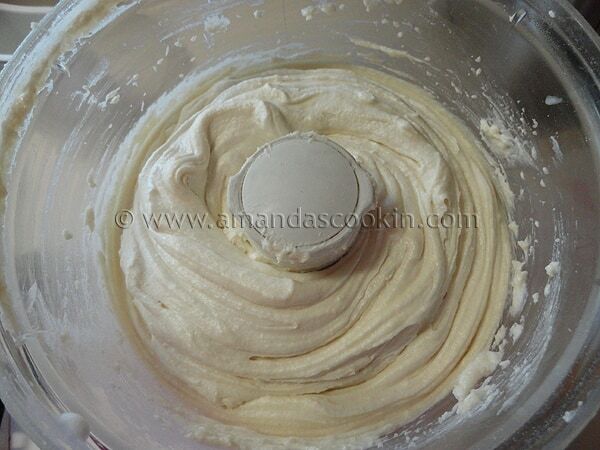 Spread remaining cream cheese mixture over cake batter. 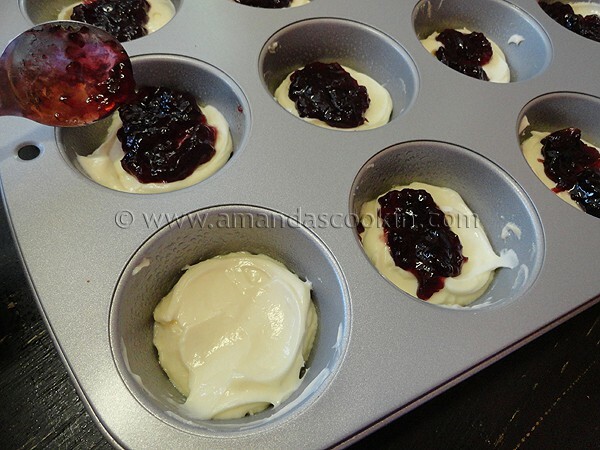 Spread about 3/4 cup of preserves (or more if needed to cover) over the cream cheese mixture. 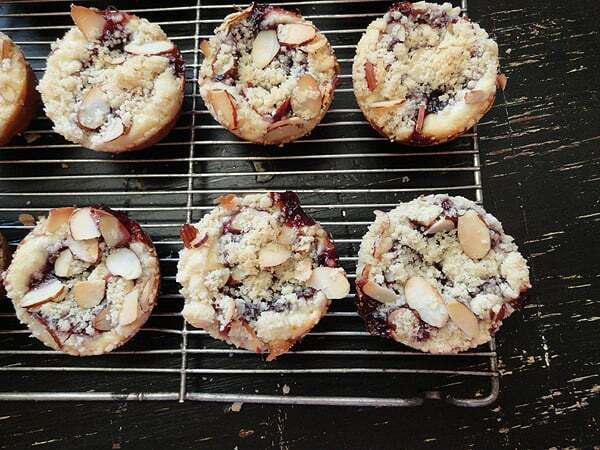 Finally, sprinkle the remaining crumb/almond topping over the preserves. Bake cake for 40 minutes. 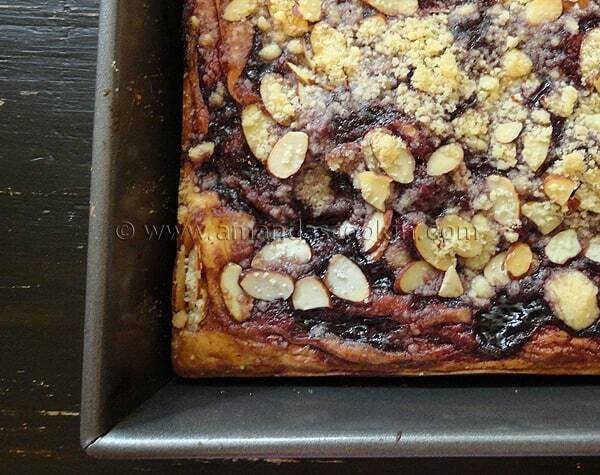 The cake will begin to pull away from the sides of the pan and will be golden brown, preserves will be bubbly. Cool on a wire rack. 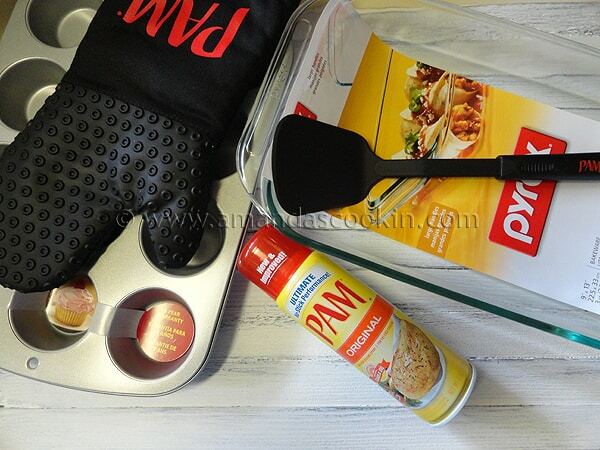 Con Agra provided me with a toolkit (see below) and PAM Nonstick spray to help me develop this recipe. Watch for a giveaway in the next couple of weeks where you can will these goodies too. Con Agra compensated me for my time, however all opinions expressed are 100% mine. just bought my food processor,I am going to make this for my bible class. Wish me luck. I will let you know how it turns out. Good luck, hope it turns out great!